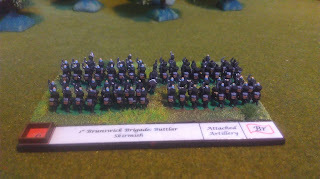 I continued my 100 Days Campaign project with a new order of Brunswickers from Baccus. The original Men in Black. 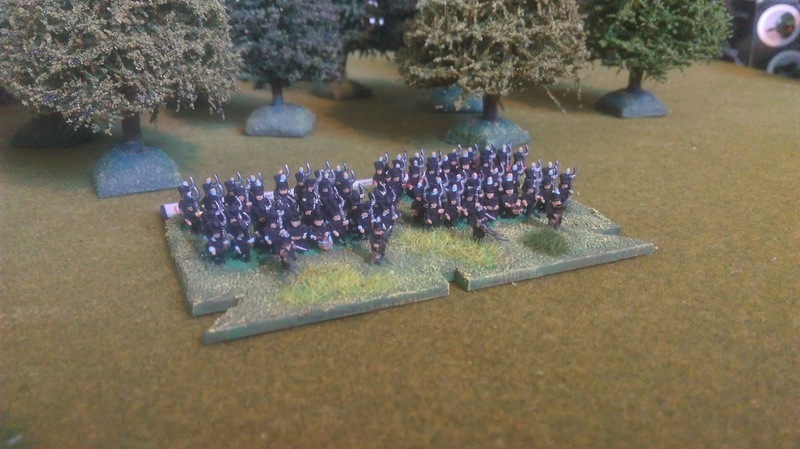 This is a small Corps formed of only two Brigades of infantry and one of Cavalry, so it was an easy one to contend with before I throw myself into another large French Corps. 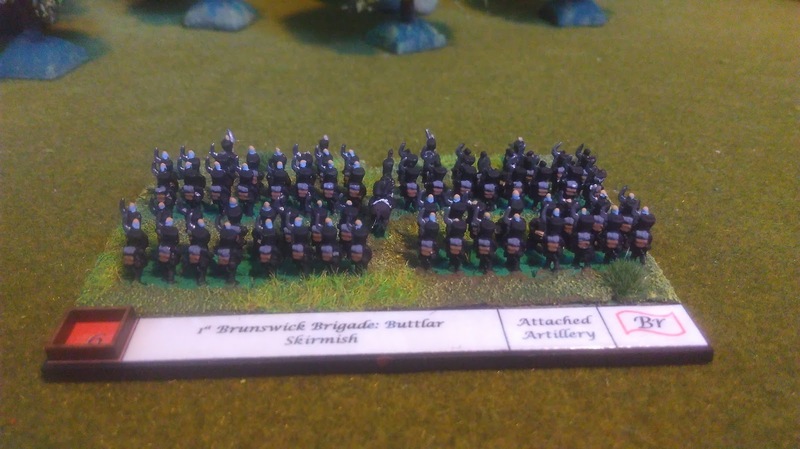 The first unit is the 1st Brunswick Light brigade. 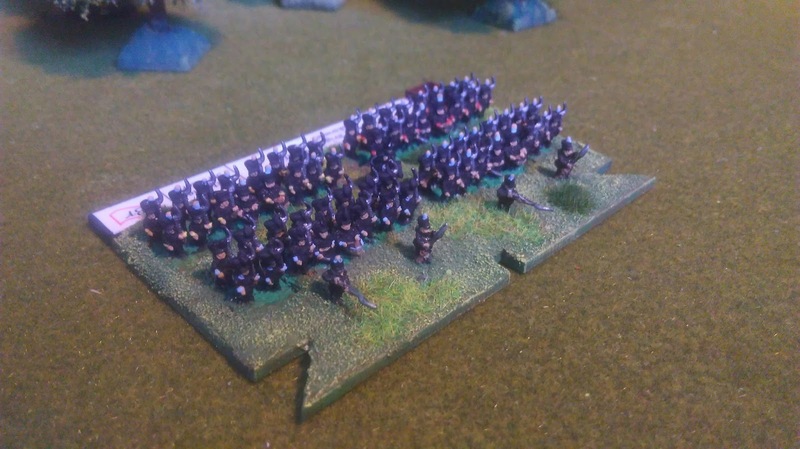 You may notice the lack of flags, this is because none of these units were issued them during the campaign, so that cut down some of the work for me. 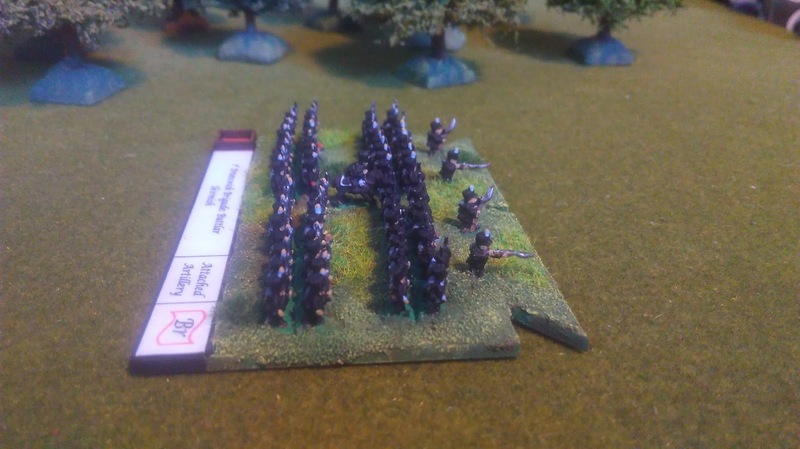 I chopped the standard bearers off the bases and will use them in the 2nd Brigade as they had two flags per Line battalion, but Baccus only provide one per strip. The Brunswickers were heavily engaged at Quatre-Bras, where the Duke of Brunswick was actually killed. 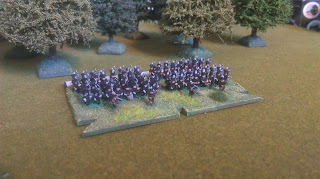 They were initially in reserve at Waterloo, until moved to the front lines to resist the French cavalry attacks. 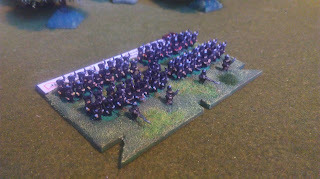 They suffered very heavy losses during the campaign.